The Yealink VC120-12x is a new Video Conferencing system designed for small to medium office spaces and collaboration rooms. Equipped with a robust camera and microphone as well as rich advanced business features, the VC120 is simple-to-use, and provides a cost-efficient way to video enable your meeting rooms, professionally and securely. The Yealink VC120 provides a high quality Video Conferencing experience for the professional user, making use of advanced features, security and intelligent directory searching to provide simplicity for the users, and peace-of-mind for the IT department. And at an affordable price, this solution is perfect for SMB’s and SME’s looking for high quality video, audio and content sharing for their office space. Offering 1080p30 video conferencing and supporting full HD dual stream, the VC120 enables your teams to hold seamless video calls whilst sharing presentations, documents and videos to significantly improve productivity and efficiency of your workforce. The cameras wide-angle horizontal Field of View (FoV) and flexible pan/tilt range provides remarkable quality imagery without cutting people out of the picture. 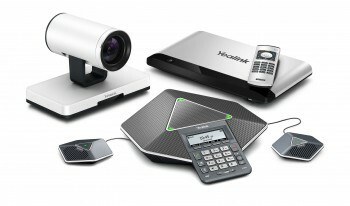 The Yealink VC120 is supplied with the Yealink Video Conferencing Phone (Yealink VCP41), that includes built in microphone arrays and 360 degree audio pickup. 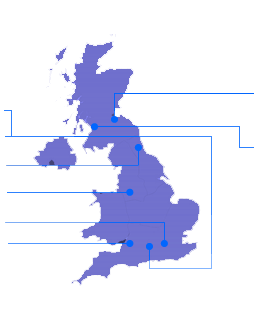 With the added option for expansion microphones, your pickup range can extend to up to 5 metres in the meeting space. The Yealink VC120 supports international standards, both SIP and H.323, ensuring anyone, anywhere, using any of the world’s leading vendors including Cisco, Polycom and Lifesize, can communicate freely and seamlessly without the need for a gateway. Plus, the VC120 also provides connectivity for devices including smartphones and tablets for simple access into your meetings from remote users and the mobile workforce.